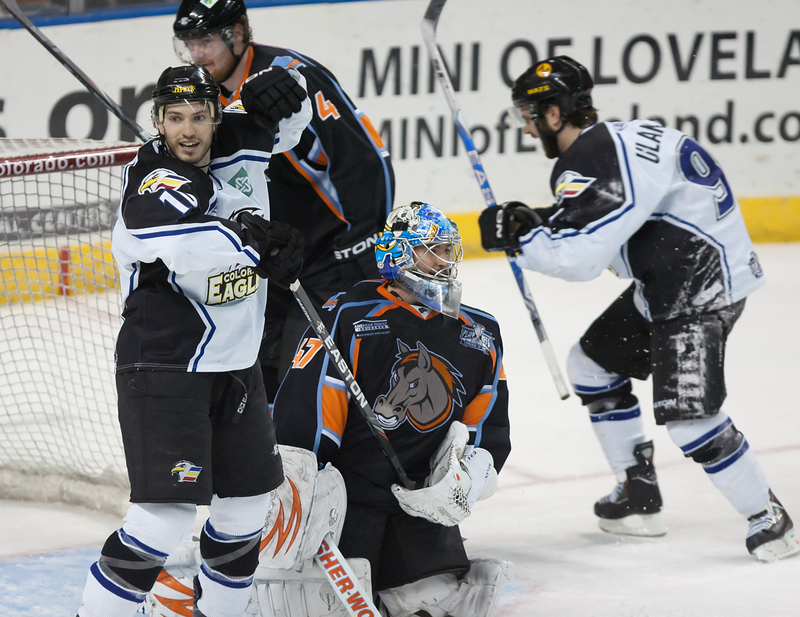 LOVELAND, Colo. – The Colorado Eagles out-shot the Missouri Mavericks 45-20 in a record-setting performance that paved the way to a 5-2 victory in Game 1 of their Turner Conference Semifinals series. 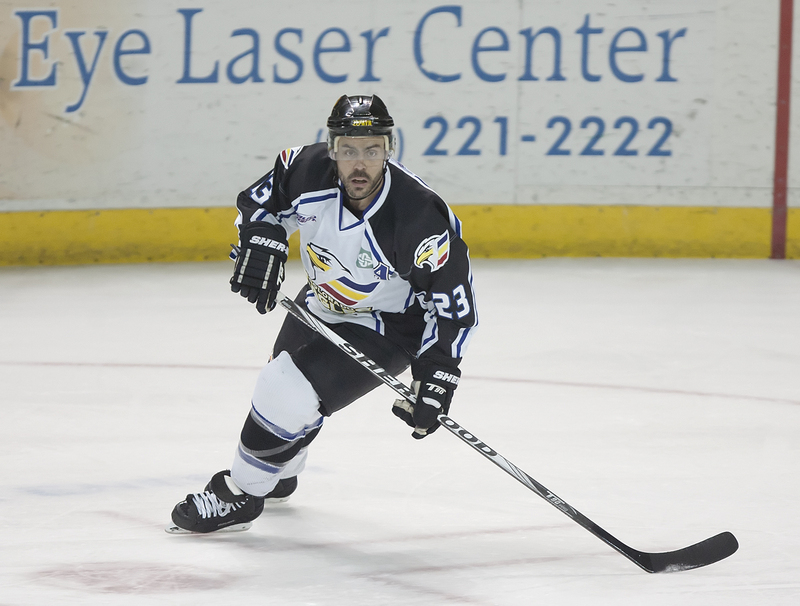 Riley Nelson (4 points), Aaron Schneekloth (3 points) and Kevin Ulanski (3 points) led Colorado’s offense, while Andrew Penner won his fourth game in a row to continue his stellar playoff performance. The Eagles scored on their first and final shots of the opening frame, sandwiched around a pair of Mavericks tallies to make it 2-2 at the first intermission. Just 42 seconds in, Nelson made it 1-0 with his league-high tying 5th goal of the playoffs. On the play, the Eagles’ captain won a faceoff in the right circle of the offensive zone before drifting back into the high slot where he found the rebound of a blocked shot and put it past Robby Nolan. Colorado took advantage of its own power play opportunity when it was awarded 1:38 of 5-on-3 play in the final minute of the first period. It took them just 28 seconds to convert and tie the score as they patiently worked the puck around the zone before Nelson sent a pass from below the right circle to Ulanski at the left hash mark for a shot past Nolan. Despite the four combined goals, both goalies were great in the first period, each making several outstanding saves. After out-shooting the Mavericks 15-8 in the first frame, Colorado out-shot them 21-5 in the second, tying a 2011 playoff high for shots in a single stanza. The 36 shots thru two periods marked the most ever against Missouri all-time — including regular season play. 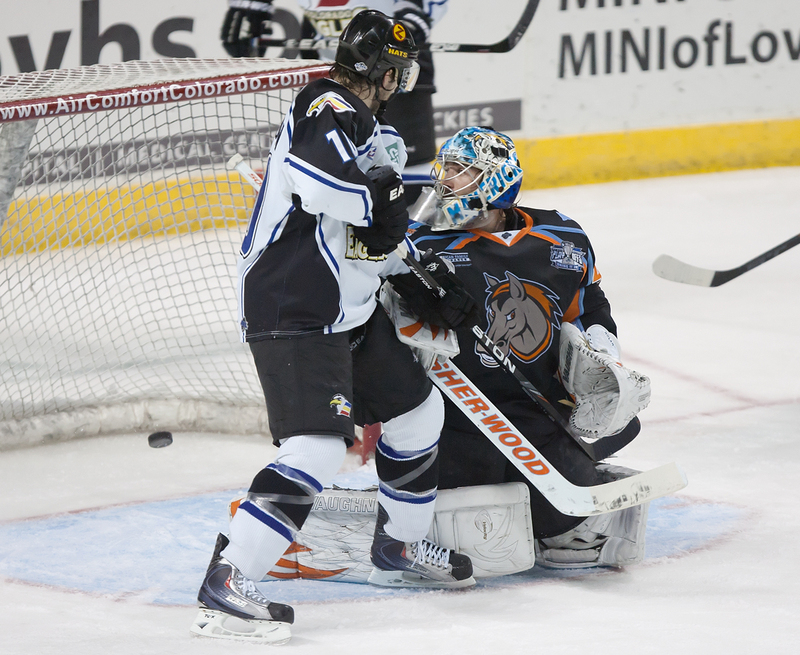 Despite the barrage, Nolan continued to keep the Mavs in the game with his strong play, denying a flurry of Eagles chances nine minutes into the period, capped by a jutting right leg pad save against Nelson from the low slot. But Nelson continued to make plays for Colorado, helping to set up a pair of Schneekloth goals in the final five minutes to give the home team a 4-2 lead heading into the second intermission. 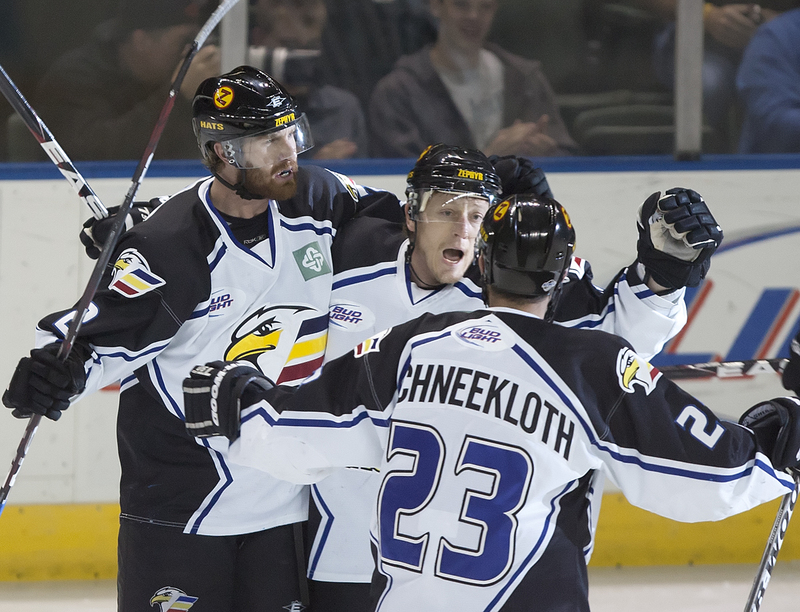 Schneekloth put the Eagles up 3-2 at 15:52 when he pinched down the right wing, took a pass from Ulanski, worked his way toward the net and beat Nolan from in close. And at 17:37, Nelson found Schneekloth pinching down the slot for another goal that doubled Colorado’s cushion. 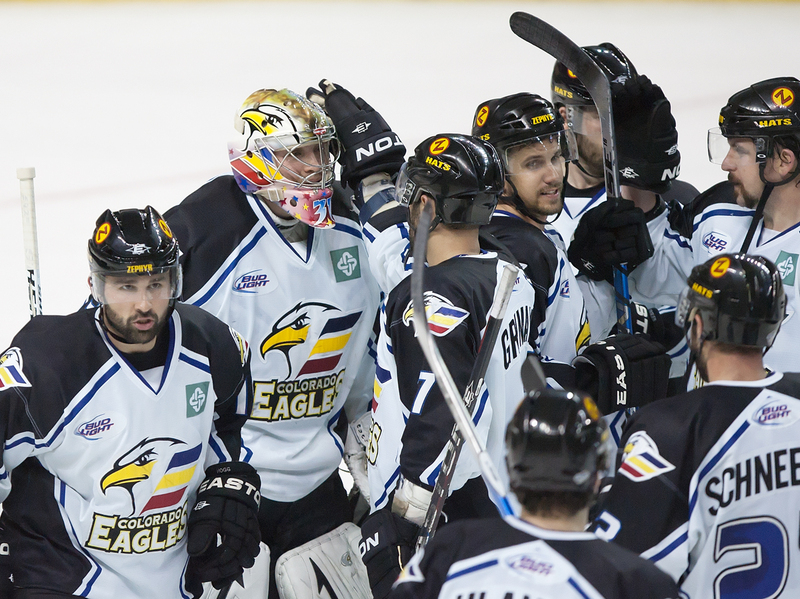 The Eagles killed off three penalties in the third to stymie any Mavericks comeback, and Adam Hogg added an empty-net goal with 5.9 seconds remaining to account for the final score (the goal meant that Colorado scored on its first and final shots of the game). 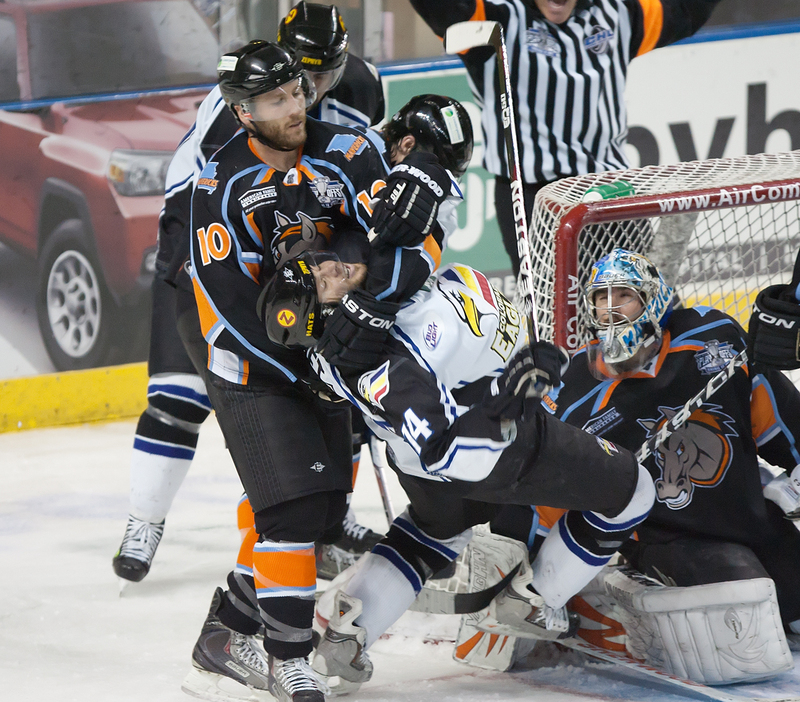 Game 2 of the series will take place Saturday night at the Budweiser Events Center. Site contents copyright © 2019 Recorder Online	except as noted. All rights reserved. | 113 queries in 2.468 seconds.